Should I Be Using CoQ10? Coenzyme Q10 or CoQ10 gets a lot of atten­tion for heart dis­ease, heart dis­ease pre­ven­tion, cir­cu­la­tion sup­port… and it should. A vital part of of our cel­lu­lar pro­cess for energy, we simply can­not live without CoQ10 at the right amount. Coenzyme Q10 is an enzyme that is import­ant in get­ting energy for our cells. 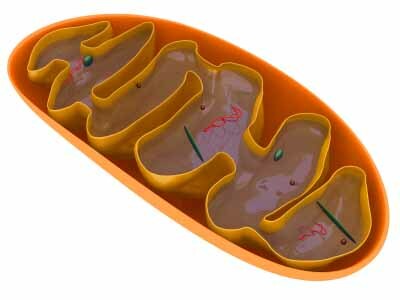 Each of our cells has some­thing called mito­chon­dria inside it. The mito­chon­dria is con­sidered the brain of the cell. In order for the cell to com­plete cer­tain pro­cesses, it needs energy. Coenzyme Q10 is an essen­tial part of energy lib­er­a­tion. CoQ10 also is an anti­ox­id­ant, so it chews up free rad­ic­als or waste products in the cell, and gets them out. How does CoQ10 have anything to do with the heart? Our heart is a mus­cu­lar pump that pumps blood through­out our body all the time. In order to be able to con­tin­ue that activ­ity, a lot of energy needs to be lib­er­ated in the muscle cells of the heart, and CoQ10 is involved in that pro­cess. Can CoQ10 decrease my blood pressure? As CoQ10 sup­ports the heart muscle and the energy it needs to pump blood through the body, sup­ply­ing CoQ10 to tired heart muscle does reduce the stress on the heart. It takes a while to see these effects. In fact, CoQ10 has the poten­tial to lower systol­ic blood pres­sure by 17 mmHg and dia­stol­ic blood pres­sure by 12 mmHg. Can CoQ10 reduce my incidence of heart disease? CoQ10 can sup­port the heart and due to its anti­ox­id­ant capa­city, it also reduces the stress of free rad­ic­als pre and post sur­gery. For this reas­on, CoQ10 has been found to be sup­port­ive for sur­gery after con­gest­ive heart fail­ure, for chemo­ther­apy patients tak­ing med­ic­a­tions like dox­or­u­bi­cin which can affect the heart, as well as for dia­betes and even head­aches. In short, CoQ10 is an excel­lent cir­cu­la­tion sup­port. Ubiquinone is the true name for CoQ10 as part of its chem­ic­al struc­ture. Ubiquinol how­ever is the fat-sol­uble form of ubi­quinone in sup­ple­ment form which is sim­il­ar to how CoQ10 is found in the body. If some­thing is fat-sol­uble, it means that it can be more eas­ily absorbed by the body and integ­rated into the cell as our cells are sur­roun­ded by fat molecules. When is it essential for me to take CoQ10? Aging nat­ur­ally depletes CoQ10, and thus as our age num­bers increase it would be bene­fi­cial to include CoQ10 in our régime. If you are tak­ing a cho­les­ter­ol med­ic­a­tion in the stat­in fam­ily (ator­vast­at­in, sim­vast­at­in), CoQ10 and cho­les­ter­ol pro­duc­tion share a sim­il­ar path­way. In redu­cing your cho­les­ter­ol pro­duc­tion, the stat­in med­ic­a­tions also reduce CoQ10 pro­duc­tion. In cer­tain indi­vidu­als, this can pro­duce com­plic­a­tions like muscle pains and wast­ing, fatigue, heart pal­pit­a­tions and can be quite severe. Supplementing with CoQ10 while on these med­ic­a­tions sup­ports their meth­od of action and gives the body the CoQ10 it needs. CoQ10 is known to be depleted in high-intens­ity phys­ic­al activ­ity due to the tax­ing effect on the muscles. If you are still con­fused about using CoQ10, ask your health pro­fes­sion­al. Remember that for heart dis­ease, one inter­ven­tion will nev­er be quite adequate, how­ever CoQ10 is a sup­port­ive and import­ant part of your heart pro­tec­tion régime! Gaby AR. Nutritional treat­ments for acute myocar­di­al infarc­tion. Altern Med Rev. 2010 Jul;15(2):113 – 23. Deichmann R, Lavie C, Andrews S. Coenzyme q10 and stat­in-induced mito­chon­dri­al dys­func­tion. Ochsner J. Spring 2010;10(1):16 – 21. Golbidi S, Ebadi SA, Laher I. Antioxidants in the treat­ment of dia­betes. Curr Diabetes Rev. 2011 Mar;7(2):106 – 25. Review.